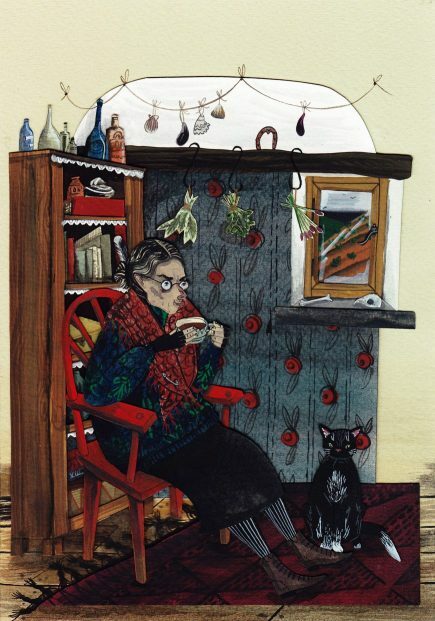 Bex Bournelance illustrator/artist living and working in Cornwall. Her studio is the old cutting cutting-shed of an abandoned quarry between Falmouth and Constantine. All her pieces are created using a blend of watercolour and gouache, as well as tiny pieces of cut-out murano paper stock. Bex created the wonderful illustrations of Charles Causley’s poems for the centenary CD I am the Song , setting some of Causley’s children’s poems to Jim’s music. The original art-work will be on display, and signed limited-edition prints and postcards will be available to purchase. There will be two ‘Meet the Artist’ sessions during the exhibition period. Time: 10:00am-5:00pm (to 7:00pm on the Friday); ‘Meet the Artist’ sessions on the Friday, 1.00-2.00pm & 6.00-7.00pm, and on the Saturday 11.00am-12noon & 4.00-5.00pm. Venue: upstairs at the Southgate Arch, Southgate St.